Wish list / Gift Registry / Favorite products extension for VirtueMart. You will love it. Free, fully functional trial available. Please see the demo link to know more. Premium one to one support even during the trial. 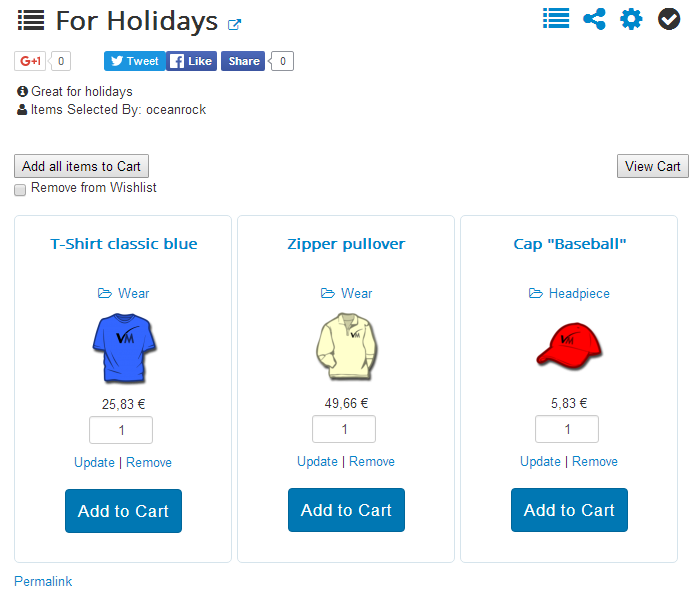 Update: Now added the option to directly Add to Cart from My Wishlist view. 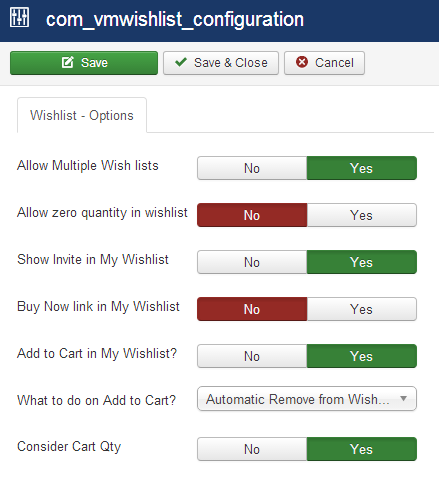 You can turn it ON from Wishlist component's options in Joomla back end. It integrates so smoothly you'll swear it's a native VM feature. 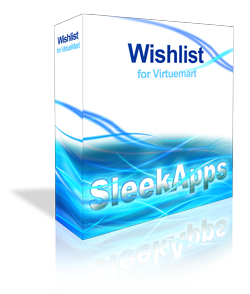 Wishlist for Virtuemart - Joomla Extension. 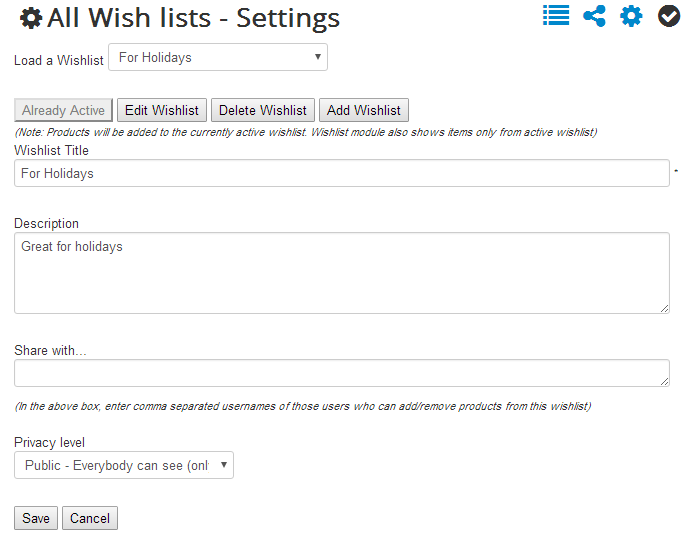 Create just a single wish list or multiple wish lists as and when you want. Share with family and friends. Facebook, Twitter, Google+ and by Email. 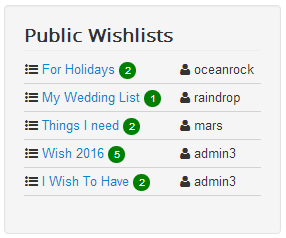 Now introducing a great concept of shared wish lists. No hack. Native Joomla component, plugin and module. Shared wish lists. The person/persons you authorized can add or remove products from your wish list. Great for Wedding Wish lists. Group or Family wish lists are possible with the new shared wish lists feature. Wish list gets saved in the database, so it can be accessed from anywhere. This is much better than the cookie method. Multiple wishlists allowed. 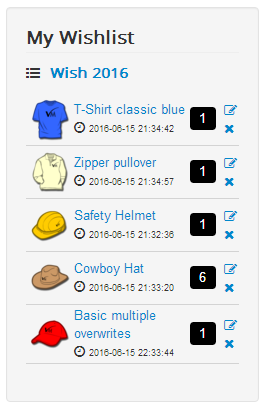 A user can create as many wishlists as he want. Any wishlist can be set as Private and Public. 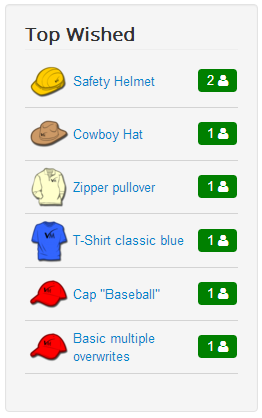 Isn't it cool to have a private wish list? Private wish lists can easily be shared whenever a user needs it. 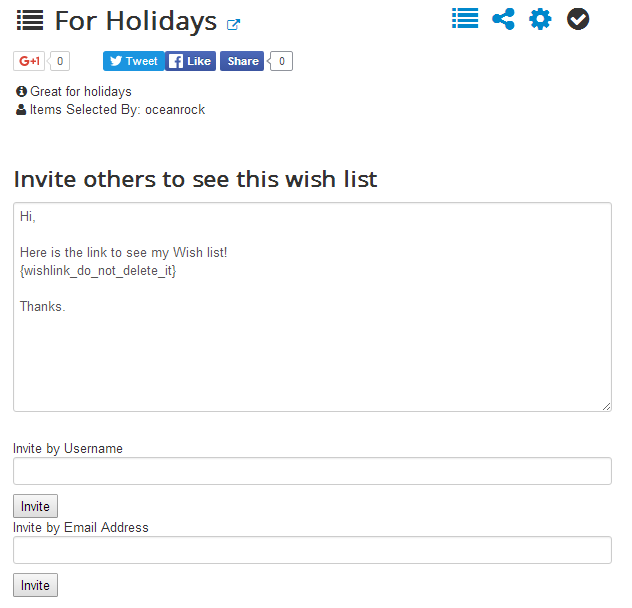 You can send email invitations to share your wish list with others, whether they are registered on that site or not. This is a great viral feature that gets new users to your site. The layout is highly customizable. Automatic email notification if someone buys something for you on your wish list. 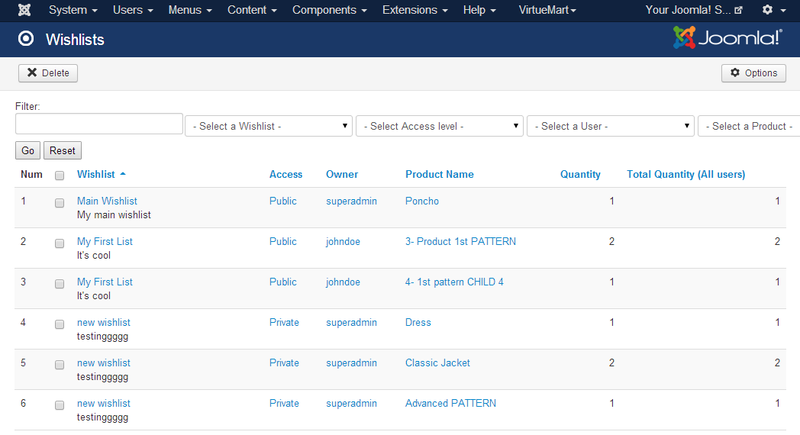 New backend interface has been added to view users' wishlist items in the backend by Joomla Admins. Good extension and SMART support (they answered me even in the sunday)! Highly recommended!